Kinesiology is a holistic therapy that reads information held in the subconscious and aims to increase general well-being by restoring balance to the entire system. It combines the principles of traditional Chinese Medicine with Western techniques using gentle muscle testing to gain accurate information about your current situation and what is needed to help your body, mind and spirit to restore balance. Your body can give you immediate feedback. It can tell you which foods strengthen or weaken you, what you need to do to build confidence and heal your life; how to increase your vitality and have physical, emotional, chemical and energetic balance in your life. The whole being is balanced, rather than treating symptoms or diseases. Muscle testing is used to monitor stress and imbalances within the body/mind providing an effective tool to detect and correct blockages relating to stress, nutrition, injuries, energies, learning problems, etc. Profound changes can often be experienced after just one session, however, it is recommended to have a series of sessions so that you have time to adjust to the changes being made and to support your body/mind/spirit to be at its optimal self. What can you expect from a Kinesiology balance? What drew me to Kinesiology? 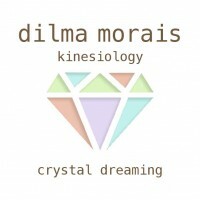 Book Your Kinesiology Session Now.